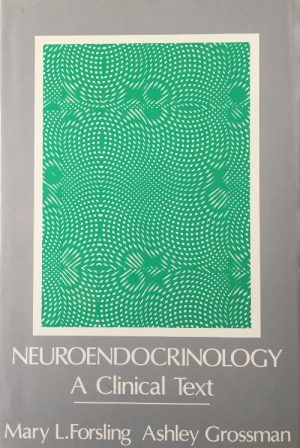 "The two authors of this clinical text on neuroendocrinology are both well known in this field. Dr. Grossman and his colleagues at St. Bartholomew's Hospital [London] have made major contributions in the areas of hypothalamic releasing factors and pituitary tumours, whilst Dr. Forsling is an authority on the posterior pituitary. "The first six chapters are concerned with the basic anatomy, physiology, blood supply and innervation of the pituitary, hypothalamus and its connections, the theoretical basis for hormone assays and the control and mechanisms of peptide hormone action. The next five chapters consider prolactin, growth hormone, gonadotrophins, TSH, ACTH and the hypothalamic factors which control the release and inhibition of these anterior pituitary hormones. The final three chapters cover the posterior pituitary, pituitary tumours and neuroendocrine test procedures.